The software industry has become unbelievably saturated, with some even suggesting there will be over a million different software companies in the world in less than 10 years’ time. Since most of these businesses are tightly-packed into Western Europe and North American cities, competition is fierce and the cost of doing business is always climbing. Almost inevitably, offshore software development (or simply ‘offshoring’) has risen as a solution for western businesses looking for new approaches to business. So what are offshore development ‘services’ exactly? In the software world, offshoring is where a company opens a new office and employs a brand-new team of developers, all in another country. They are regular employees in every sense except that instead of working locally with your in-house team, they’re based elsewhere. Operating costs – Building teams in Eastern Europe or India is less expensive than Paris, or London, or New York. Premises, equipment, and salaries are all lower thanks to the more affordable cost of living. 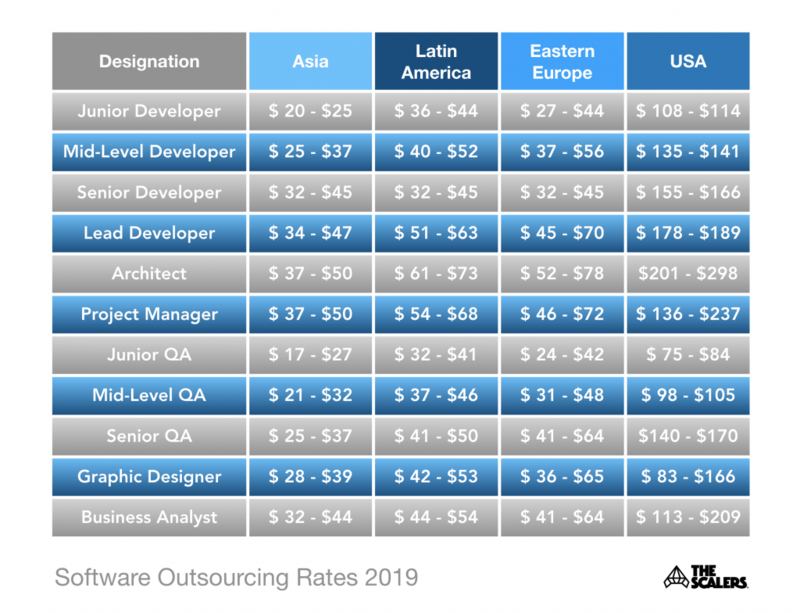 Scarcity of talent – Across Western Europe and America, highly-qualified software engineers can be hard to nail down. Tech economies like Bangalore produce more world-class IT engineers than anywhere on the planet. 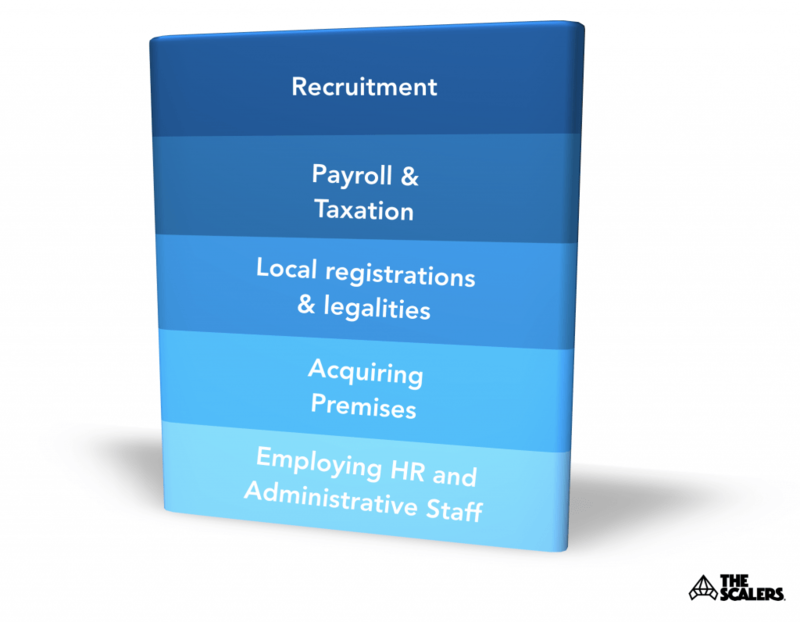 Limited expansion – Quickly scaling-up business can be difficult. Going offshore lets businesses purchase larger offices, change more dynamically, and not worry about finding adequate staff. This has made tech hubs like Bangalore, the Silicon Valley of Asia and a goldmine where you can recruit the best engineers for software development. 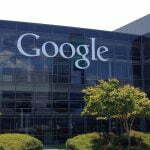 For instance, IT giants like Google, Apple, Microsoft and SAP are all establishing their R&D centres in Bangalore! How is this different from outsourcing? We’ve covered this in more detail with another blog post (see our outsourcing versus offshoring post) but to put it simply, these are fundamentally different approaches to business. These vendors typically hire developers on an ad-hoc basis for sporadic projects. But these developers do not work for you: they cater to different clients and different projects. Since the main driver for outsourcing is cost, companies push hard for the lowest price possible. The end result is almost always below expectations, since the developer has no real investment or incentive to do a good job. Offshoring is a totally contrasting approach. We’ve already had a quick look at why companies look to build offshore teams. One reason is cost, but it’s far from the only one. Offshoring is so much more than a temporary solution or patch. For starters, going offshore means creating a permanent office of developers, either to compensate for a lack of good local talent or to manage increased workloads. These full-time employees get a good wage, professional structure, and a respected brand to commit their work to. As long as you work with the right partner, offshoring allows you to produce software exactly how you do at home – except it’s cheaper, and quite possibly to a higher standard. Establishing your new team all starts with choosing the best offshore development partner. This is the local company that collaborates with you to create the best-fitting team for your business. As well as all the other administrative jobs that need taking care of. Naturally, you would have final say over any major appointments or decisions; as we keep saying, this is all still your business. Look at their work history – Case studies are a great way to see what kind of work the company has done, their reputed success, and what level of clients they’re used to. These demonstrate the ability to solve problems and build teams that are tailored to specific requirements. Get on the phone – By speaking with the sales VP or even a CEO, you can get to know the ethos, temperament, and attitude of those running the business. Ask real questions – Tell them your situation and ask for their advice. What should we do? How would that work? What would it cost? If they’re the real deal, they’ll be able to supply answers. Moving your software development offshore will always be a huge business decision – and that means the benefits must be significant and tangible. Let’s look at the main two. A study conducted by the Institution of Engineering and Technology showed that six out of ten employers in the UK feared that the growing shortage of engineers would negatively affect their business. The problem? The employable developers will either lack the necessary technical skills or be overworked and overpaid. 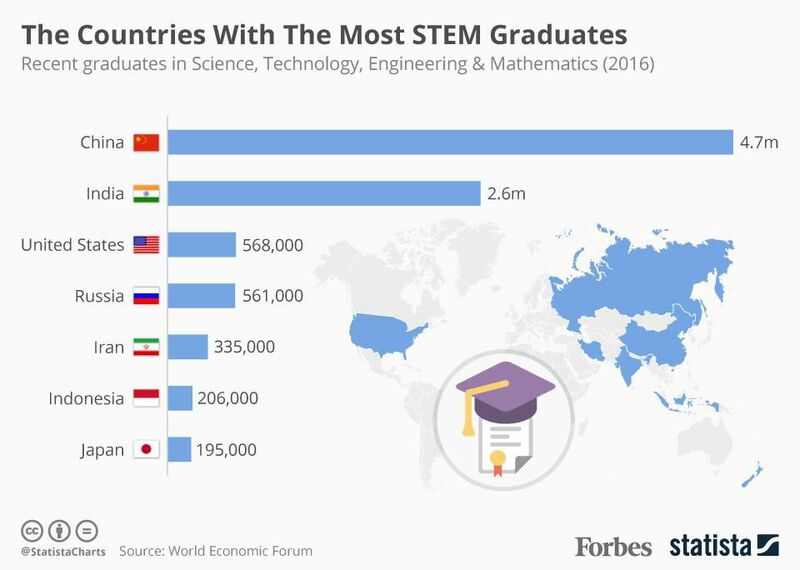 As of 2016, the US has only 568,000 STEM graduates – India has 2.6 million and rising. Since the country puts significant emphasis on IT and English education, these engineers are more than capable of filling the American shortfall. When building a team, you’ve got a 5x larger talent pool and get your pick of the bunch. That is what quality offshoring gives you. Most major software businesses are based in cities; cities are notoriously expensive, and therefore wages, rent, rates, and virtually everything involved in running a business is also expensive. In India, the cost of living is significantly lower than the UK or US. So when you pay a “cheap” wage (relative to your engineers at home) you’re still paying above-average in local terms. On average, a decent developer will cost anywhere between $60-190 per hour, plus employee-centric benefits like health insurance and travel. Of course if you go through recruiters, there’s an extra whack for that, too. The average developer salary in India – even in tech-focused economies like Bangalore – is significantly lower. When you consider the cost of rent, travel, health insurance, and bonuses as well, it’s a huge difference. Crucially, your team are still producing outstanding work. And when revenue grows and expenses fall, profits shoots up. If the output quality is the same, the developers have fluent English, and all the costs are lower, there must be some catch, right? The only perceived drawback is that part of your development team is now in India, not in your home office. But is that a problem? The reality is that remote teams have never been easier to manage! With instant messaging and video calling apps you can speak to anyone, anywhere, and at anytime of day. Task-scheduling tools are already prolific with in-house teams – all you have to do is add more users! The first step is to look at your requirements: what do you need to accomplish, and why? Then it’s a matter of looking for an offshore development partner who can answer your questions, give advice, and that you can trust. Bangalore is one of the most highly-rated cities for offshoring in the world. Known as the ‘Silicon Valley of Asia’, it is home to hundreds of thousands of engineers, with many more entering the field every year. Bangalore offers thriving and talented IT communities, and is full of developers who could exceed your expectations. Establishing your own offshore team isn’t as intimidating as it might seem. Here at The Scalers, we have a proven record of walking companies through the entire process, from establishing early requirements to signing off on a job well done. And those companies are thriving today. If you’d like to chat with one of our executives and learn more about how offshoring could work for your business, simple reach out!